The following is part of an email we received from Don and Betsy Meeker, the founders of The James 1:27 Project. They just returned from Kenya! We thought you might want to read about some of the great work going on there! 1. 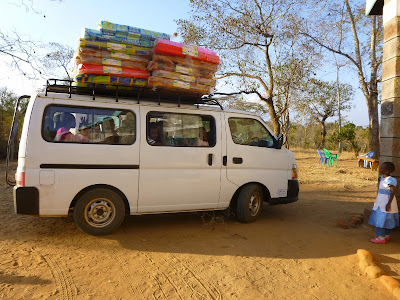 Home visits: These were unannounced visits that allowed us to see the daily lives of some of the caregiving widows and the children in their care. These ladies were delightful people who were upset that they had not had time to prepare tea for us. 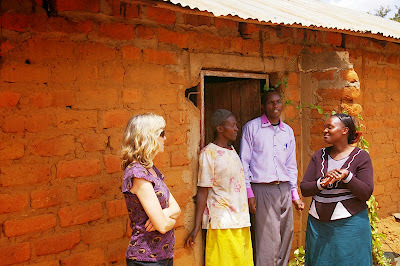 Meshack, Elizabeth, and community volunteers make these visits regularly. They offer an opportunity for more intimate conversation than is possible at the group meetings. 2. 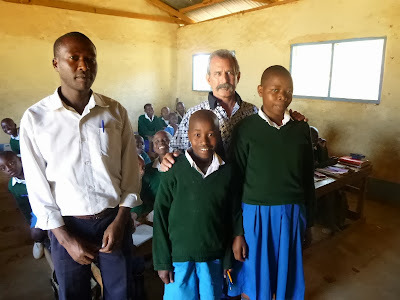 School visits: We met with principals and teachers at 2 of the schools that most of the children of the project attend. They were very receptive and positive about the James project and clearly respected Meshack and Elizabeth. They offered help in determining what expenses we could best fund and showed us progress of the project's children. 3. Meeting: Bringing all the widows, children, community volunteers, and Meshack, Elizabeth, Pastor Justus, and us together was a great way to spend a day! Don, Meshack, and Justus encouraged the widows to help one another (Proverbs 28:3 A poor man that oppresseth the poor is like a sweeping rain that leaveth no food) and discussed more ideas for income generating home enterprises such as raising rabbits for meat. Elizabeth and Betsy met with the older children and encouraged them to do well in school and set the goal of attending college and pursuing dreams. We presented each household a mattress and blanket. Many of the children sleep directly on the floor. 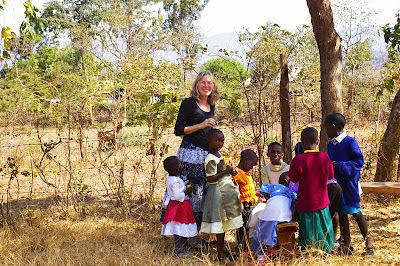 Everyone shared a hearty Kenyan meal of rice, chapati (flat bread), and stew, and then the children were given individual gifts such as crayons, pencils, and hygiene items. 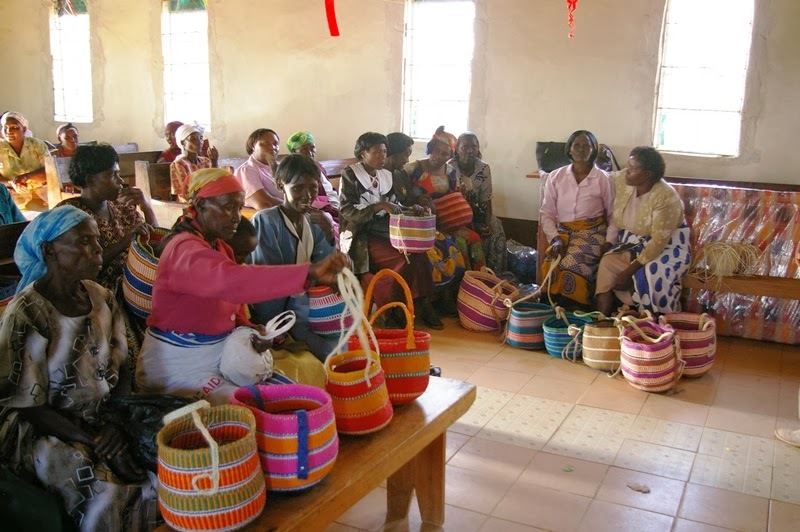 We had promised the ladies before our trip that we would buy any baskets they made in time for the meeting. There were 35 beautiful Kamba baskets waiting for us. These are a traditional craft and are used in everyday life to carry and store food and other things. We bought them directly from the ladies who made them, and we are selling them here for a profit, all of which goes into the James 1:27 account. 4. Attended local church. Pastor Justus invited Don to speak at the Sunday service. He taught 1 Corinthians 13, the true definition of love, and how it should be expressed by helping neighbors in need. There was lots of great song and dance. 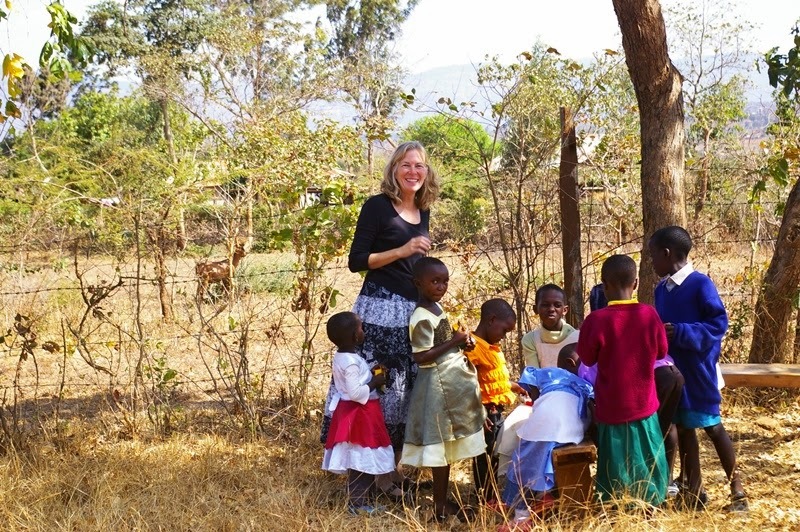 Eight of the project's children attend this church.